Kangana Ranaut now harbours a dream of donning the director's hat and already has a script in mind. Singer Kailash Kher, who turned to music after failure in the export business, says he has mellowed down and started believing in life after marriage and fatherhood. He says this time KBC viewers will get to see some of the best brains from small towns. Tamil director, whose first film "Pasanga" bagged three National Awards, says even while working as an office boy, he made sure he was not far from the movie business. "Robot" is a highly technically advanced bilingual but filmmaker Shankar has made sure there is enough to entertain the common man, says Aishwarya Rai who stars in the film. Rahul Bose is dying to do an action film as he is passionate about sports but says an emphatic no to typical Bollywood potboilers. He adds that offbeat movies and world cinema have always excited him. 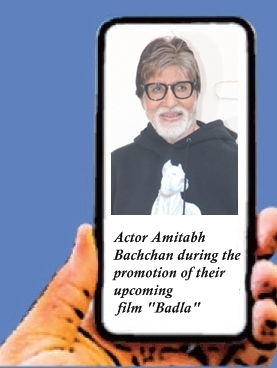 Flattering comparisons with icon Amitabh Bachchan are brushed aside by the young star as "very premature".